Hero has been teasing us quite a while now with its new offering, the 2016 HX250R. This time around we can see the production ready bike in the flesh! One of the main features of the bike includes ABS at the front and back. For better braking and cooling of brakes, Hero has used petal shaped discs at both ends. The bike will come stock with Pirelli rubber. Aluminium footpegs for the rider and pillion are a clear evidence of Hero trying to keep the kerb weight of the bike in check, including the grabrails. The tubular swingarm at the rear coupled with the blaring red monoshock make it look quite attractive. 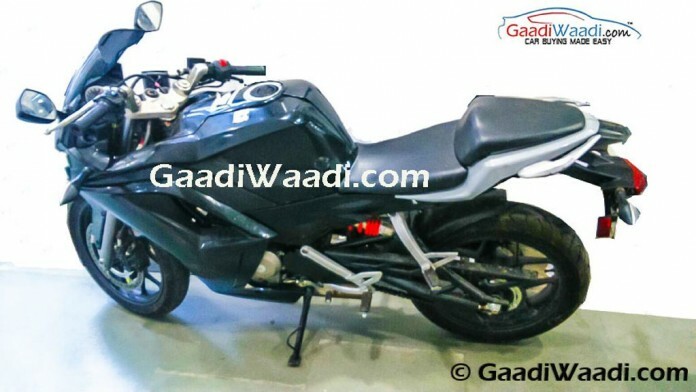 Hero first previewed the HX250R at the 2014 Auto Expo. At the launch, Hero said it had developed the bike with inputs from Eric Buell Racing (USA), Engines Engineering (Italy) and AVL (Austria). Although delayed, The Hero HX250R will be a tough competition to the CBR 250R, the KTM twins and the Kawasaki Z250. Although the launch date has not been confirmed, we believe it will happen by the end of this year or early next year at the energy which Hero is growing and reinventing its portfolio. Hero understands the Indian market really well and hence, expect perfect pricing for the HX250R. 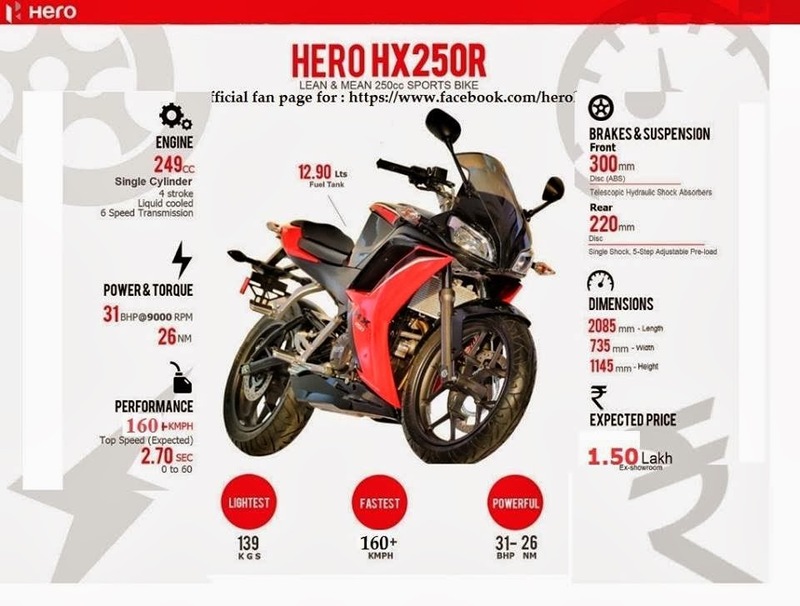 We expect the bike to be priced between 1.5-1.7 lakh, which is a huge jump for Hero as a company. A petrolhead whose desk always has a Hotwheels scale model and wants to hand build a Premier Padmini convertible. A fan of Trucks and Buses, on every bus journey he hopes the driver falls sick so that he gets to drive it! Dream garage: Audi A8L W12, Lexus LFA.